Many cat owners are looking for cat foods that will be gentle on their pet’s digestive system. They may notice that their cat vomits regularly or passes diarrhea when they eat normal cat food, or they may notice an allergic reaction from their cat after consuming conventional foods. 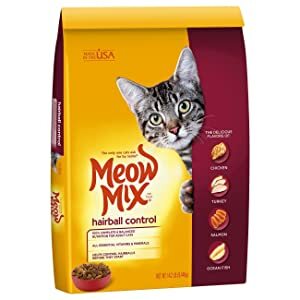 So, they look for something that doesn’t contain ingredients that could be upsetting their cat, and in many cases, that means grain free cat food. Grains are common cat allergens, such as rice, wheat and corn gluten meal, according to PetEducation.com. Taking those out of the equation can mean that the cat is able to more easily digest its food. The majority of cats don’t need to be on a grain free diet, but any cat with a grain allergy, as diagnosed by a veterinarian, can definitely benefit. 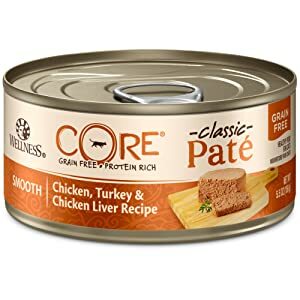 The cost of grain free cat food can be higher than conventional foods, so you will want to be sure your cat could benefit from this kind of food before shelling out the money for it. There are lots of grain free options available, though, as more and more cat owners begin to realize that the answer to their cats’ digestive problems is to remove certain ingredients. Let’s look specifically at why many cats benefit from grain free options. Reduces Allergies– For those cats that suffer from grain allergies, switching to this kind of cat food can make a huge difference. They will be happier, healthier and more energetic. They are more likely to eat all their food and keep it down, allowing them to attain a healthy body weight. Easier Cat Care– If your cat is having rough time eating the food you give it, then you may have to a spend a lot of time and money going to the veterinarian, buying medicine and treating your cat’s symptoms. It’s so much easier on you to simply address the source of the problem and cut out what is causing your cat to be miserable. Longer Lifespan– Cats who eat foods that are easily digestible for them tend to eat more and get all the nutrients they are supposed to. If they are vomiting up the food or not eating some of the food, they could become vitamin deficient, which can bring a whole host of problems with it. If you start giving your cat grain free food, after it has been diagnosed with a grain allergy, the cat should be able to live significantly longer than it otherwise would. There are some downsides to choosing to grain free cat food for your feline. Let’s look at a few of the more significant ones. It’s Expensive– Grain free cat food is not the cheapest thing you can feed your cat. You can expect to pay more for this grade of food, though for many people it is worth it. Missing Nutrients– Regular cat food often offers a balanced diet of nutrients and vitamins, and if you are feeding your cat an alternative with different or fewer ingredients, then your pet could be missing out on some key nutrients. You may need to give your cat something else as a substitute or talk to your veterinarian about what would be the best course of action for your cat’s health. Hard to Pick the Right One– There are a lot of grain free options, and not all of them are offering the same benefits and nutrients. You have to be careful about which one you get for your cat, as you can end up with something that lacks one kind of allergen but contains plenty of others. You often have to do a lot of research to find something that is beneficial to your cat, has a decent price tag and is of high quality. With that being said, we went out and did a whole lot of research to help you find the best grain free cat food For on the market today. If you’re looking for an ultra-convenient way to feed your cat grain-free food, you might want to try NomNomNow’s cat food delivery service. This company delivers homemade-style cat food straight to your door on a monthly or weekly schedule. 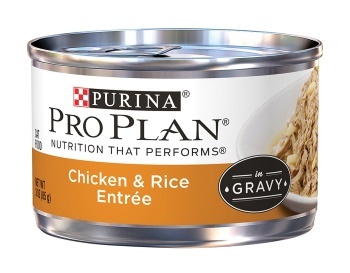 Their chicken formula is made from chicken as a species-appropriate source of protein, along with small amounts of fruits and vegetables. All ingredients are human-grade and minimally processed. 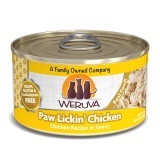 With this product, your cat will savour high quality protein components, together with low carb and low fat food. 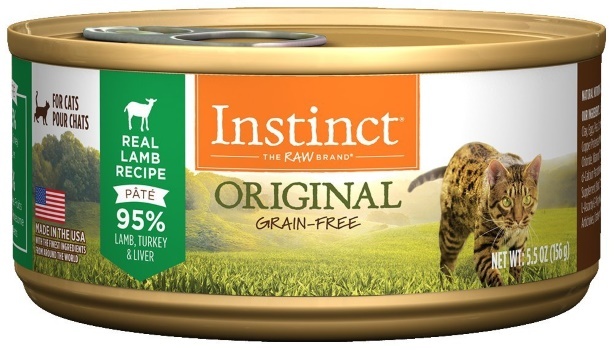 This all-natural cat food does not contain any carrageenan, meaning no funny looking gels. Some of the essential ingredients include: great tasting shredded meats and pumpkin soups, Vitamin E, B1, A, D3, B2, B3, B12 and B6 supplements. A healthy choice for your kitten, Wellness Complete’s canned wet food is made with high quality ingredients and is perfect for a full-grown cat. Although kittens will require a different product, it is considered as one of the best wet cat foods for cats with dry skin problems. 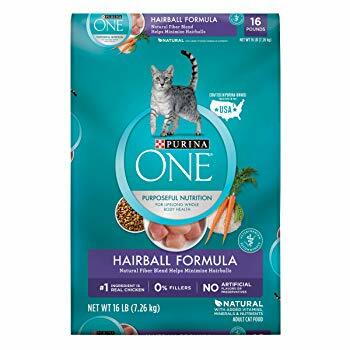 Purina Beyond Grain Free grain free cat food includes natural vegetable fiber to help control and avoid the formation of hairballs by moving hair through your cat’s system. All around high quality cat food which provides complete and balanced daily nutrition for adult cats. For cat caregivers who want to feed their purrfect feline friend a grain and gluten free diet. 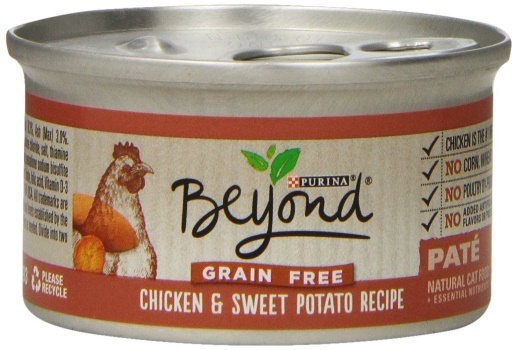 The Purina Beyond Natural Grain Free White Meat Chicken Recipe Dry Cat Food is made with the best natural ingredients chosen specially to meet the special needs of indoor cats. Another nice thing about this product is that it rich in vitamin A. 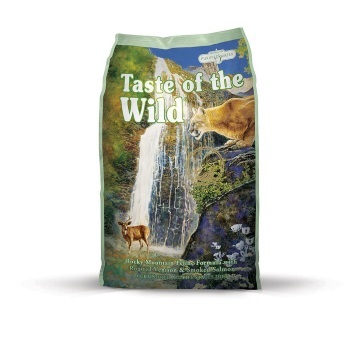 Packed with high quality ingredients, Taste of the Wild Cat Food is a super reliable brand in the cat food industry ! 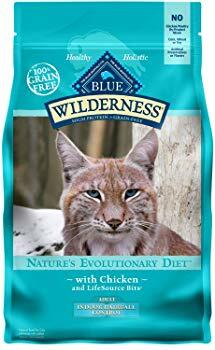 Taste of the Wild Cat Food’s Recipes are formulated to meet the nutritional guidelines established by the AAFCO Nutrient Profiles for Adult Maintenance. 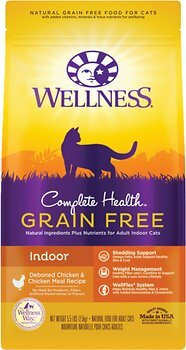 Wellness natural grain free cat food formula features a special natural fiber blend that helps move hair and already-formed hairballs through cats’ digestive system. 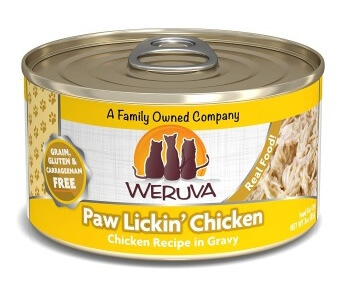 This product has among the tastiest flavors that cats always end up loving, and comes in a great combination of flavors. You have the option to choose between wet and dry cat food, and you don’t want to go too heavy on one and neglect the other, according to Nutro.com. Your cat may want some variety, and there are benefits to choosing one over the other in certain situations. Most cats do best with a mix of the two, where you give your cat dry food sometimes and wet food at other times. Dry food tends to be cheaper and last longer, so it’s usually the go-to choose for most cat owners. Just be sure to give your cat some wet kitten food from time to time to ensure they don’t tire of eating the same food over and over again. 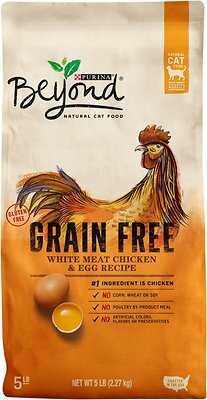 What Should You Consider When Shopping For Grain Free Cat Food? Ingredients– high rated cat food should contain one or more types of high quality protein, which will be the main ingredient in your cat’s diet. Stuffing canned food with artificial flavors, meat by products, starches and fats or fillers will provide a very unbalanced meal for your cat. Feeding your cat with the best cat food suited for it and maintaining a well balanced diet will require you to check what the cat food you buy is made up of. Artificial Flavors & Preservatives– As much as you value a dietary meal for your cat, you should ensure that you purchase the food that lacks corns, soy and wheat substances. These substances are only meant to increase the quantity of the food but have no nutritious features. You should avoid buying foods bulked up with wheat flour and grains as much as possible. Quality Over Quantity– While buying your cat’s food, you should consider smaller cans of food rather than one big container. If you have a small kitty, you might find it uncomfortable using the large cans, while larger cans could be better for larger cats. It’s usually advisable to buy food in many small cans than in one big can, so that it stays fresh as long as possible. Hopefully, this information equips you to buy the right kind of food for your cat and ensure that your pet no longer has to suffer from allergy symptoms. Read the Labels– Reading the label of wet cat food is key. That way you will have better knowledge of the best food to buy for your cat, and will be aware of the main ingredients of the product you purchase. 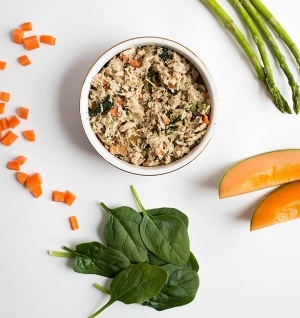 As the most abundant ingredients of your purchased product are stated first on the list of ingredients, you should expect them to read contents such as salmon meal or deboned chicken. Budget- If you can afford to buy expensive cat food, you should do it to be certain you are getting the best product possible (even though sometimes, expensive doesn’t necessarily mean good. You should always read the labeling carefully). However, if you can’t afford buying expensive food, you should ensure that you purchase a little amount at first, to make sure it suits your cat, and only then buy in bulk. Better food may be more expensive, but it will save you a ton of money on your veterinarian bill, due to poor nutrition.